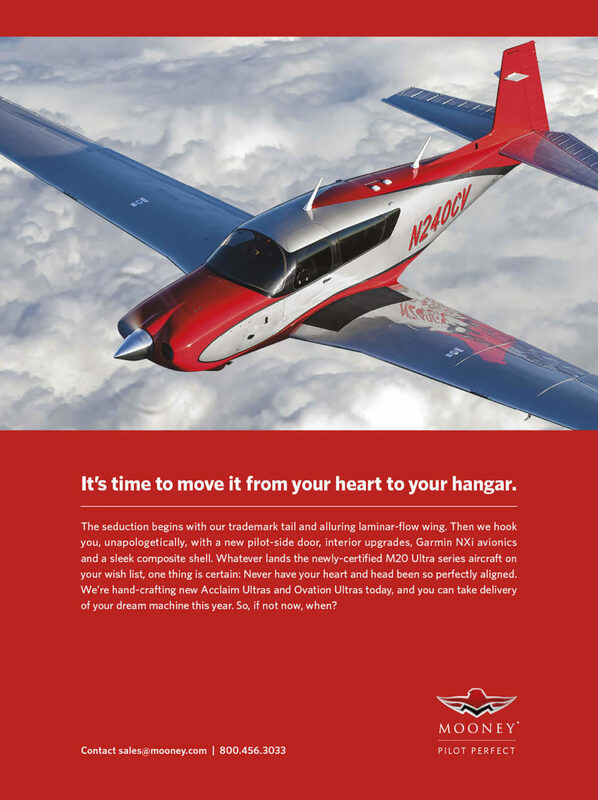 Advertising that bares the soul of the world’s fastest, piston-single, production airplane. 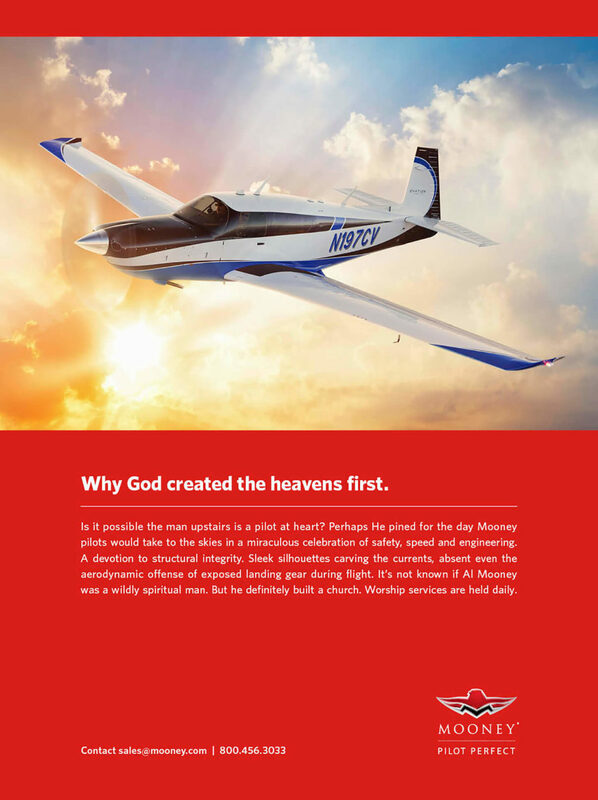 Mooney’s dedication to hand-craft high-performance aircraft was on full display in their newest models. 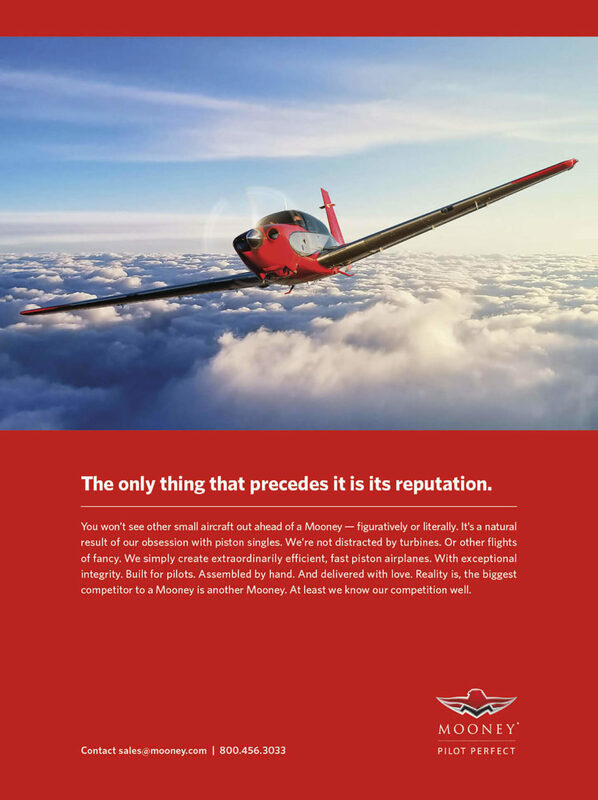 Our challenge was to capture more than the typical list of speeds and feeds – and captivate experienced pilots who are as passionate about the purity of flight as Mooney is.